Designed with the help of Australian anglers this lure has proved itself time and time again on the high pressure barramundi impondments in Australia. Not only in Australia though, the BM 125F has also had great results in America from the South American Amazon all the way to the northern Great Lakes. 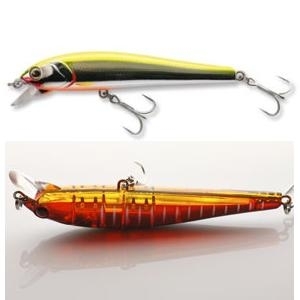 Designed with the "cast and retrieve" angler in mind, it excels at fishing towards structure (weed, timber, shallow banks, rocks, shallow flats) but doubles as a trolling lure when the fish move towards the top of the water collum. Made using only the toughest hooks and swivels, the BM 125F has been designed to cope with "monster" class fish. 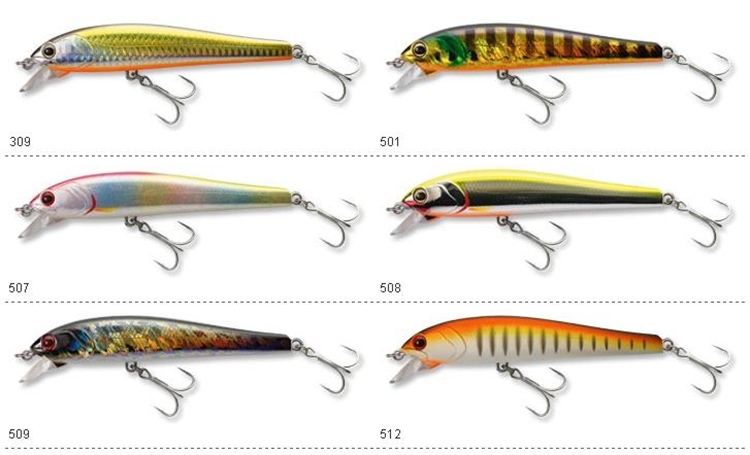 Ultra sharp OWNER hooks and super strong split rings won't let you down when taking on record size fish. BM 125F is fitted with a "penetration wire" connecting the eyelet to the rear and front hook that is designed to keep the fish on the line even in the rare case that the target fish snaps the lure in two. An absolute must for any professional level lure where lost fish are not forgiven.